While he found his fame in Nashville, Steve Earle was born in Texas, and he cut his teeth as a songwriter in the '70s while hovering on the outskirts of the Lone Star State's circle of great tunesmiths. The literate but unpretentious approach of the Texas songwriting community clearly suited Earle, and he's never been shy about acknowledging his influences from his early days. In 2009, Earle released the album Townes, in which he paid homage to his good friend and mentor Townes van Zandt, recording 15 of his best songs. 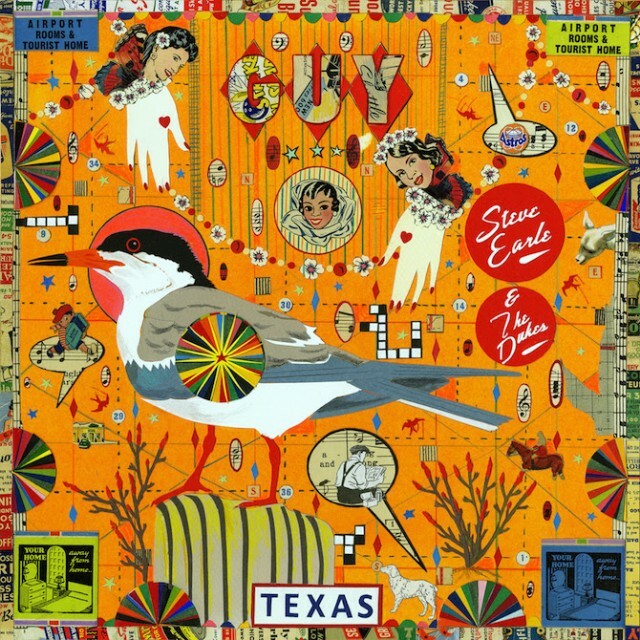 Ten years later, Earle has offered a follow-up in the form of 2019's Guy, a set of 16 songs from the songbook of his late friend Guy Clark. While Townes was primarily a solo effort, Guy was cut with Earle's band the Dukes, and the difference speaks to the temperment of the two albums. Van Zandt's songs were often powerfully introspective, and he was often given to a dark night of the soul. Clark, on the other hand, was no less pithy but considerably warmer, and there's a playful humanity in his songs that Van Zandt's usually lacked, as great as they were. This also explains why Townes is ultimately a more satisfying album than Guy -- while Earle can be powerfully witty when he wants to be, he's traditionally drawn to darkness more than light, and while it's clear he loves songs like "L.A. Freeway," "Rita Ballou," and "Heartbroke," the easygoing amiability and small-town wisdom of Clark's lyrics feel a bit off coming from Earle's increasingly craggy rasp. And though the grainy tone of Earle's voice works on the rocked-up cover of "Out in the Parking Lot" and the twangy two-step of "Texas 1947," and his phrasing is as canny as ever, it doesn't work as well on more thoughtful numbers like "Desperados Waiting for a Train" and "The Randall Knife." (This album recycles a version of "The Last Gunfighter Ballad" from a 2001 Guy Clark tribute album, and its presence points to the considerable wear on Earle's voice in the 18 years that separate it from the rest of the album.) There's never a moment where Steve Earle sounds anything less than fully committed on Guy, and this was clearly a labor of love, particularly on the closing number "Old Friends," where Emmylou Harris, Jerry Jeff Walker, Rodney Crowell, and Terry Allen join in. But the execution isn't quite as strong as Earle's good intentions on Guy, though if he wanted to either remind old fans on the greatness of Clark's songs or convince new ones to explore his body of work, he makes his case will eloquence and affection.